In a low attended session by the MPs, the parliament approved on Wednesday the government’s policy after several sessions of discussions. 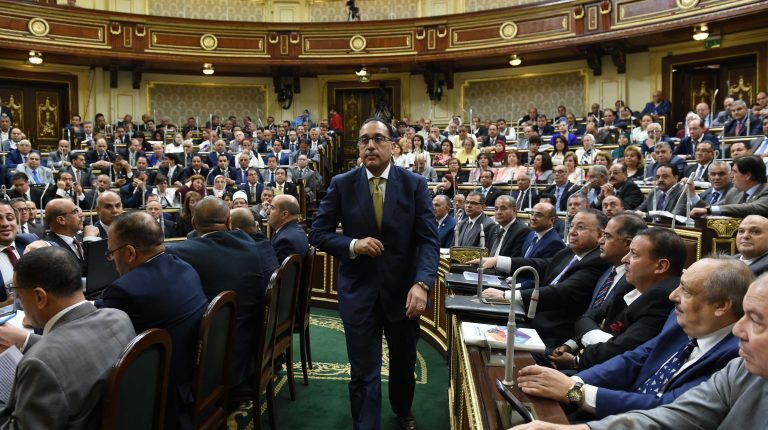 Despite that, several members wanted to comment on the programme of the government, but Parliament Speaker Ali Abdel Aal ended the discussion earlier than scheduled, angering MPs who were promised the chance to comment. Nevertheless, Abdel Aal ended the discussion, praising the policy of the government and asking the government to present a timeline for achieving the objectives. Abdel Aal then gave the floor to Prime Minister Mostafa Madbouly to address the MPs. He said that comments and recommendations will be taken into consideration by the government. He also vowed to achieve the policy, adding that it has been tailored by a strategy approved by President Abdel Fattah Al-Sisi. He added that the policy has tackled several critical files, such as overpopulation and inflation. He also vowed that a committee will be formed to follow up on the promised objectives that are set to be finished in 2022, and he also said that a quarterly report will be issued to document the progress. This report will not only be viewed by the parliament, but also the public. Yasser Amr, deputy of the planning and budget committee, said that all criticisms directed at the policy were concerning the absence of a timeline concerning the mentioned objectives. Amr said that giving trust in the government’s policy means “giving trust in the economic reform.” He believes that the government has to present 3.5m jobs during the next four years, and to raise the economic growth rate by the end of 2022 by 8%. Most committees and political coalitions, with the exception of the 25-30 coalition, approved the policy. MP Haitham El-Hariri, a member of the 25-30 coalition, said that they have major objections to the policy, as there are no clear mechanisms and timeline. He also cited a lack of focus on important issues like health and education. He told Daily News Egypt that Egypt needs 266,000 classrooms, which requires increasing the education budget from EGP 7bn to EGP 20bn. He also called for filling the gap of teachers and employees in the Ministry of Education, which he argues will harm the educational process. He also said that, amid the flotation of the Egyptian pound and the price hikes of several products and services, the budget of the health sector should increase.